With its Unpack Event on August 9, Samsung is all set to unveil the much awaited Samsung Galaxy Note 9. This official global launch will be streamed live at 11:00 am E.T. (8:30 pm IST) on the official Samsung website. 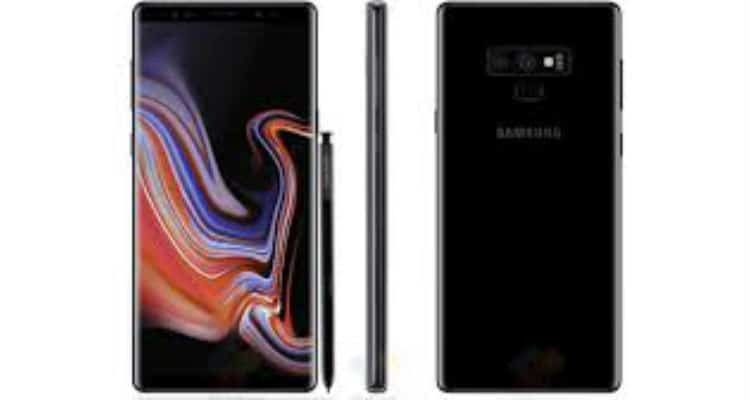 The Note 9 is expected to have the Snapdragon 845 processor or the Exynos 9810 inside it. In India it is likely to have the Exynos 9810 processor. There might also be a possibility of the Note 9 having at least 4GB RAM. But the possibility of 6GB and the 8GB RAM variants is not completely negated. According to the rumors, the Note 9 will have 512GB internal storage. It may also support a microSD card of up to 1TB storage. For now the rumors point towards a 3800 mAh battery as well as 4000 mAh. The Note 9 will be slightly bigger than its predecessor. The phone will have a 6.4-inch screen with QHD+ screen resolution. The Note 9 is expected to have two rear cameras, one of which will have a regular lens with variable aperture. Both cameras will use 12-megapixel image sensors. The second camera will use a telephoto aka zoom lens. On the front, the Note 9 is anticipated to come with an 8-megapixel camera. The Experts have predicted that The Note 9 will run on Samsung’s custom software built on top of the Android 8 Oreo and it will come with S Pen stylus. The rumors predict that the design of the Note 9 is going to be very similar to the Galaxy S9+, with S Pen Stylus being the only difference between them. Also, this means that the Note 9 will have the glass back, will probably support wireless charging, and will have a metal frame. It also means that the Note 9 will have a fingerprint sensor on the back, near camera, and will not have that notch on its screen. As per the rumors, Samsung Galaxy Note 9 will be priced at 72,000 approximately in India. Samsung’s Unpack Event to Launch Galaxy Note 9 0 out of 5 based on 0 ratings. 0 user reviews.